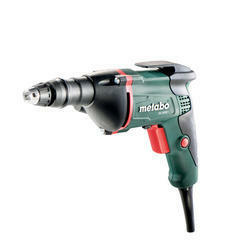 We are a leading Manufacturer of metabo se 2500 - 600 w drywall screwdriver and black & decker a7073 - alkaline battery powered screwdriver from Bengaluru, India. Drywall screwdriver with high torque for fixing of gypsum plasterboards and gypsum fibre boards to wood and metal framework. Compact and light design for comfortable single-handed use. Precise driving of screws by virtue of finely adjustable depth guide and low-noise claw coupling. Depth guide can be fully removed for inspection during operation. 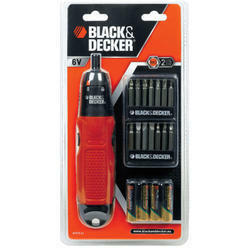 Innovative screwdriver powered by 6V alkaline batteries. Looking for Screw Drivers ?